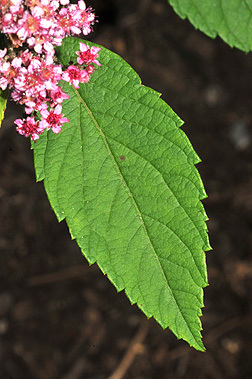 Leaf:Alternate, simple, narrowly lance-shaped, 1 to 3 inches long, margins toothed near the apex but entire close to the base, green above, paler below but yellow-leaved varieties exist. 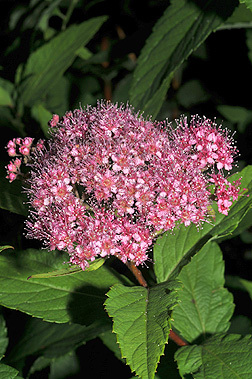 Flower:Small, usually red-pink (white varieties exist), in flat-top terminal clusters, appearing in mid-summer. 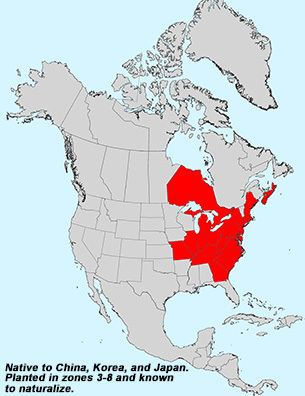 Fruit:Fruits are small brown follicles about 1/8 inch borne in flat-top terminal clusters, persistent. 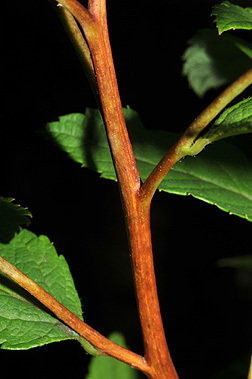 Twig:Slender, stiff, "wandlike", largely unbranched, reddish brown; leaf scar small and raised, 1 bundle scar. Bark:Smooth, grayish to reddish brown eventually peeling off in fine strips. 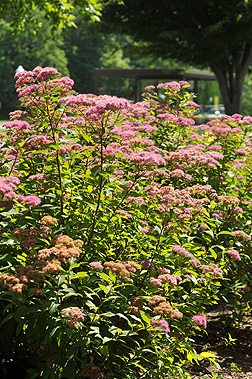 Form:A multi-stemmed shrub to 6 feet tall.